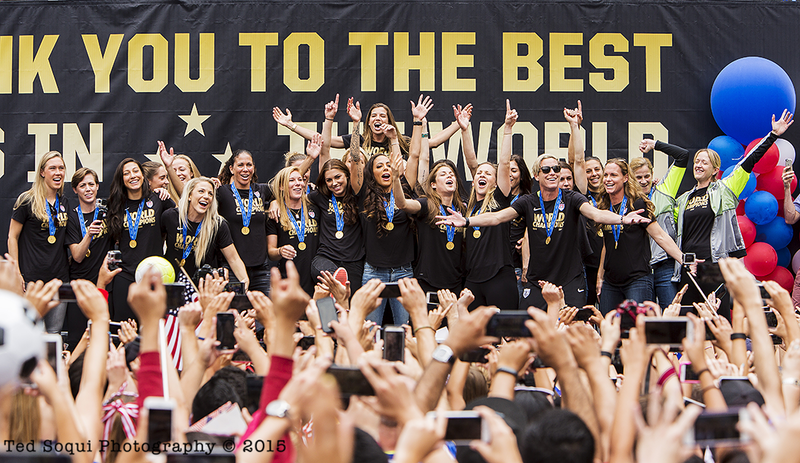 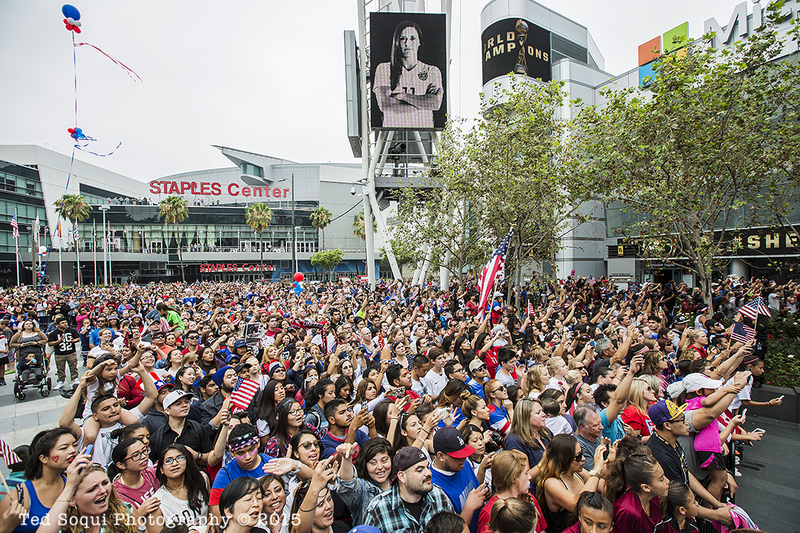 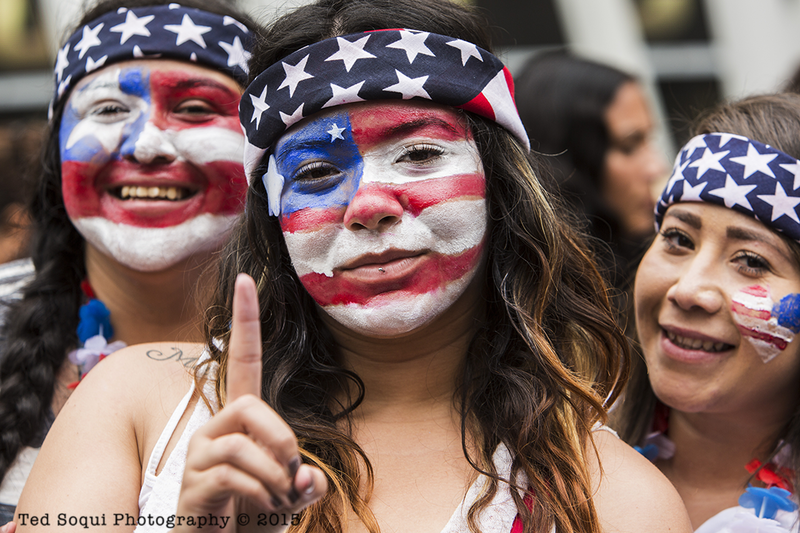 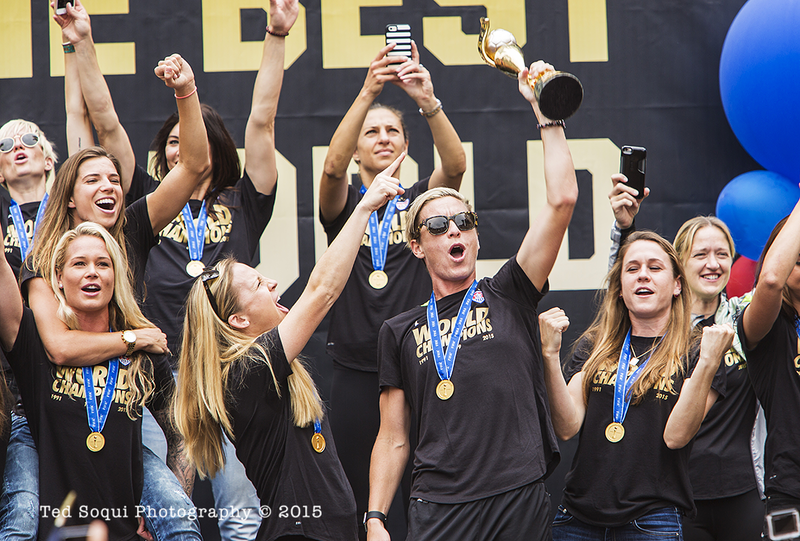 Fresh off of their 2015 FIFA World Cup win, the USA National Women's Team stopped by downtown Los Angeles for a celebration rally. 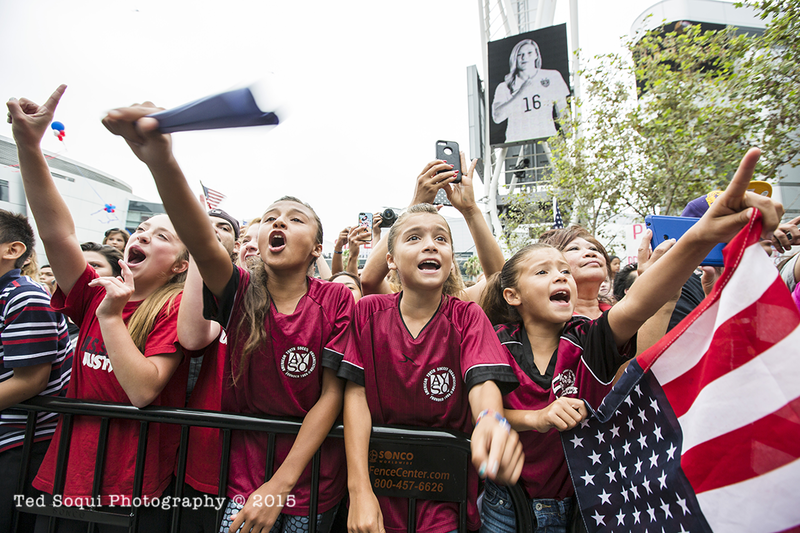 Thousands of soccer fans showed up to see the wonder team and to join in on the celebration rally. Abby Wambach holding the FIFA trophy.